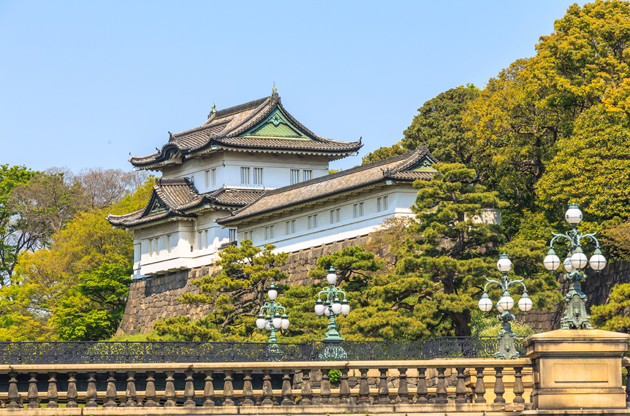 Travel recommendations and packed information about Tokyo and its attractions, best places to see, dine, shop and to have fun are listed for a good trip. The capital of Japan, Tokyo, is one of the cities that is hard to describe without sounding like a promoter. It is probably the only capital in the world that has been really successful at going beyond the modernity and keeping this much connected with its cultural and historical roots. The phase of the daily life, the rhythm of the city and the soul of it that walks together with heritage of the ancestors, turn Tokyo into a city whose charm cannot be beaten by any other city in the world. Actually, calling Tokyo a huge city is not that accurate if we consider the city is consisted of many cities coming together. With 12 million population only in the center and 35 million in total metropolitan area, Tokyo is the largest urban area not only in Japan but also in the world. There are 3 main divisions in Tokyo; Central, Old and the Suburbs. All of these have districts that have special characteristic features that separate one from another. This is exactly the reason why we cannot talk about one single gesture of the city. There are many of them and all of these are in competition with one another in terms of allurement. Apart from the ultra-modern buildings, beautiful sacred places, museums, mausoleums and major sightseeing areas, Tokyo has got a lot of parks and green areas which turn into heaven pieces on earth when it is the Cherry Blossom time of the year. Other than that, the climate of the city is not quite surprising; hot & humid summers followed by mild winters with rare snow. A trip to Tokyo is always an uprising step for the soul as witnessing a lot of difference and enjoying the discovery comes at the same time. Daily excursions that are to be continued with trying the most delicious examples of the Japanese cuisine, feeling the nice attitude of the locals, trying to catch up with the speed of the life while it feels so normal are going to take their place among your most memorable moments of your life. Tokyo is located on Honshu Island in Japan. Tokyo has got 3 airports, 2 of which host international flights and 1 for low budget airports that fly from nearby countries or cities. Narita Airport, which is located 70 km northeast of Tokyo center is the main international airport of the city. The options of accessing to the airport and from it is provided on Narita Airport’s Official Website. Haneda Airport is 14 km south of Tokyo Station and is the second international airport in Tokyo. There are a bunch of options to get to city from there and they are listed on the Haneda Airport’s Website. The airport for the low cost airlines that fly to Tokyo is the Ibaraki Airport and it is located 85 km north of the city center. Tokyo has one of the most efficient public transportation systems in the world. You can reach anywhere in the city by using metro, train or bus. In addition, due to the mass population living in the city, renting a car is not advised in Tokyo. The city is famous with the most useful and probably the most confusing subway & train systems ever. No worries though, Tokyo Metro provides you with all the information you may need to use it. In addition, Toei Bus has got routes to many parts and districts of the city as well. If you are in Tokyo for just a couple of days, or let’s say for a week, then you will be a little reluctant to leave the city by the time your return day, that’s for sure. Tokyo offers an amazing world of attractions to discover which cannot be fitted even into a month. Edo-Tokyo Museum, Ghibli Museum, Miraikan, The National Art Center and Edo-Tokyo Museum are the top 5 museums in the city. If you are museum lover, these will definitely blow your mind. The Temples of Asakusa, gardens of the Imperial Palace and Meiji Shrine are good starters for your sightseeing excursions in Tokyo. Tokyo Metropolitan Government Building, Tokyo Skytree and The Rainbow Bridge are among Tokyo’s main points of interests, too. The best place to shop in Tokyo depends on what you would like to buy. However, no matter which part of the city you are in, I am sure you will come across to something you would like to take home with you. If you are interested in antiques, then go directly to Ginza or Omotesando. If you would like to buy electronics, it really doesn’t matter what you would like to buy, Akihabara is the area you should visit. For books Jinbocho, for clothes Shibuya and Harajuku should be visited. Shinjuku is also a good area to shop many different things. Taito district is famous with its Asian style street market. You will come across a lot of Japanese restaurants simply every corner of the city. Some of these may be traditional, some may be designed in the European way. However, one thing is for sure and that is you will have the most delicious time of your life. Of course, Tokyo has got a live nightlife scene as well. You would remember the famous karaoke scene from the movie Lost in Translation. Well, you may come across something pretty close to that in Roppongi area. Shibuya and Shinjuku are the areas that are famous with bars and clubs in the city. It is really hard to get out from the charm of Tokyo, I know. However there are some trips I would strongly recommend if you believe you have spent enough time in Tokyo and still have a couple of days to spend in Japan. Izu Peninsula, Ikaho Onsen and Minikami are two popular destinations for hot springs and natural scenery. Mount Fuji is a breathtaking route for nature lovers, with beautiful lake resorts around. Kamakura and Nikko offers an amazing time for history lovers as both them are filled with a lot of cultural and historical treasures. If your trip falls within the right times, you might as well join some of the annual events that take place in Tokyo. For example the Tokyo Marathon is famous enough to attract thousands of participants from all over the world. Sanja, Kanda and Sanno Matsuris are also famous and might be interesting to see. Every year this amazing city becomes the center for many international events. Large scale conferences, congresses, symposiums, tradeshows, fairs and exhibitions organized in Tokyo enables the attendees to participate in their desired event and explore the city that offers thousands of attractions.